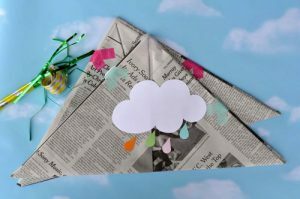 Most of us have an immense fascination towards hats, loving to keep a lot of them in our wardrobe, for different occasions. 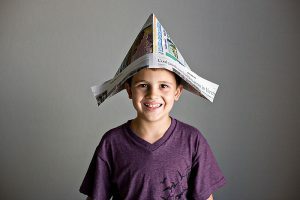 The craft of making hats out of a lot of things of day to day use such as crepe paper, tissue paper, and coffee filter have become immensely popular. 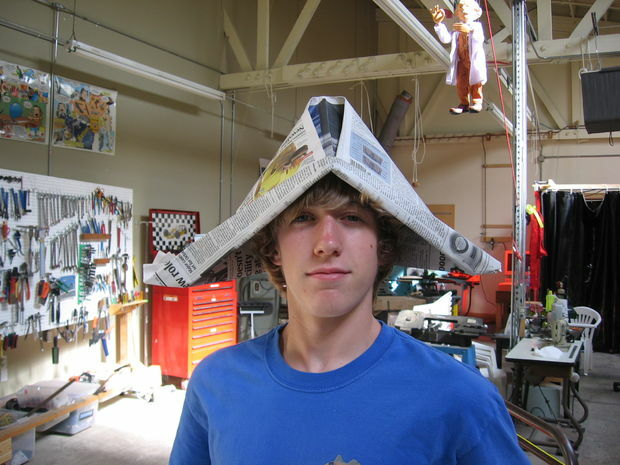 The fastest and easiest way of designing a hat would probably be with a used newspaper. Let us go through a few tutorials and instructions to check out the several hat making procedures with a newspaper. 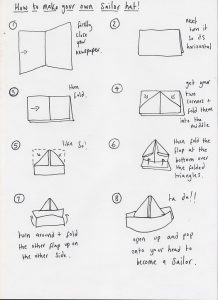 If you desire to brush your little one’s knowledge about origami, then this is the easiest thing you can teach him. 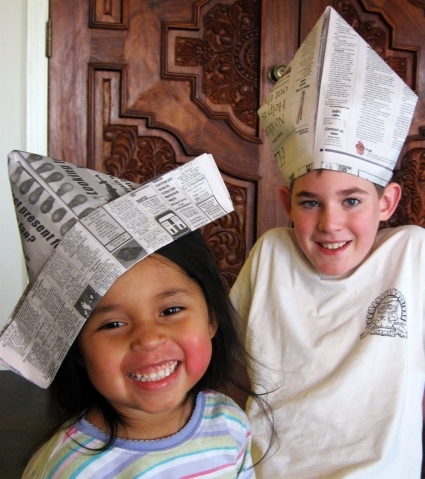 Your child would be utterly delighted when you teach him the simple way of making a hat out of a newspaper. Teach him techniques of converting the hat to a boat or even a bird just by simple changing of folds. 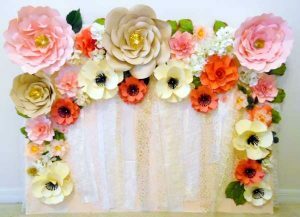 You may add sparkles and glitters to give them a gorgeous look. 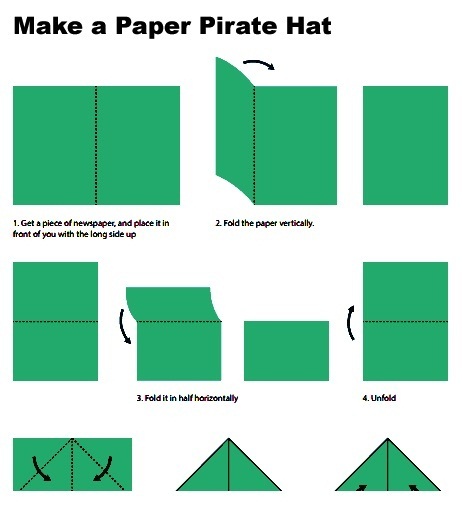 A pirate hat with a skeleton’s face is all that you need to make your little one look like a perfect pirate ready to plunder the seas. This big newspaper hat gives you a classic cowboy look. 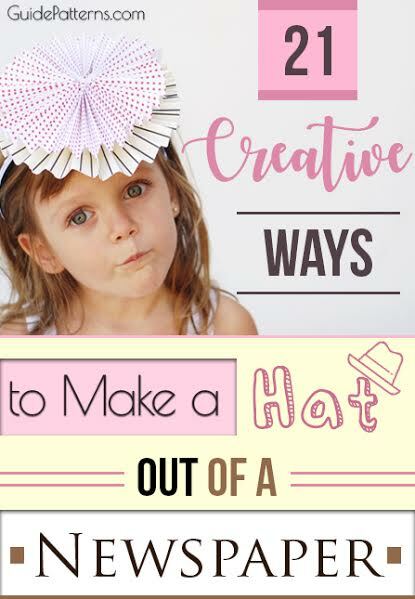 Rather than spending heaps in purchasing party hats for your little one’s birthday, put your creative skills into actions and make a whole lot of them at home. 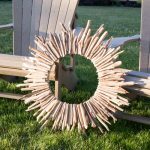 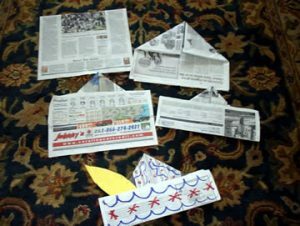 You may add a lot of decorations to enhance their brightness. If you want your hat to look colorful, then go for decorative newspaper pages instead of opting for the simple ones. 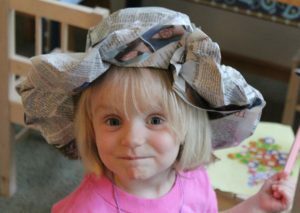 Your finished hat would appear something as this one. 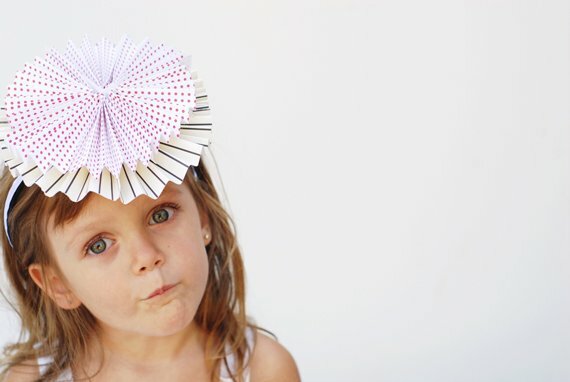 Your baby will be elated to wear this stylish hat on her head. Decorate this cute hat with ribbons and streamers. With Christmas round the corner, you can surprise your kid by making this sailor hat for him to wear at the party. Embellish it with a lot of bells, stars and pom poms to give it an attractive look. 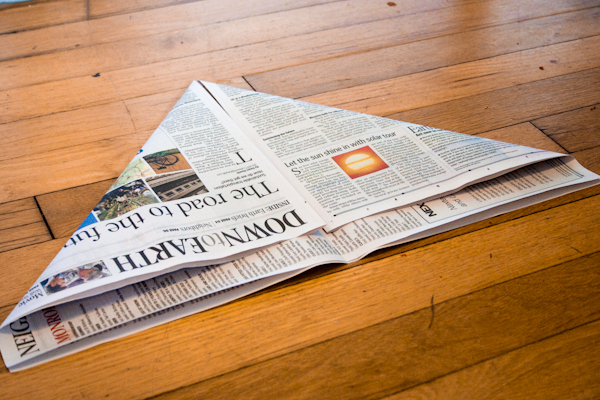 Instead of a paper you can use colorful newspapers to make a fashionable newspaper hat. 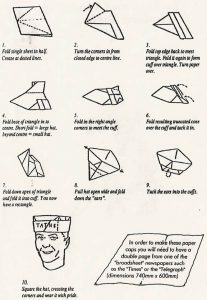 These five simple steps will help you in making your hat in a jiffy. 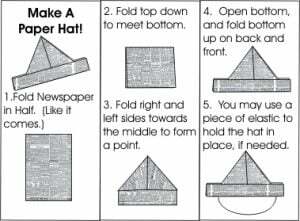 These picture instructions would be of great convenience while teaching your child the ways to make a newspaper hat. If your kid has dressed as the great sailor for his fancy dress party at school, make a stylish sailor’s hat for him with a newspaper. You might also color it to enhance its brightness. 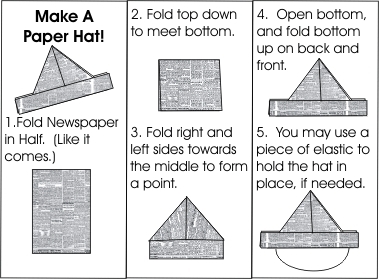 The given instructions would teach you the ways of folding a newspaper hat. Hope you will have a fun filled experience in making a host of uniquely designed hats to surprise your near and dear ones this festive season. 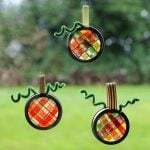 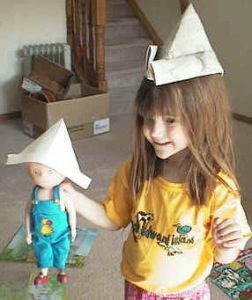 Involve your kids in while making these creative craft works as it will be a learning as well as an enjoyable experience for them. 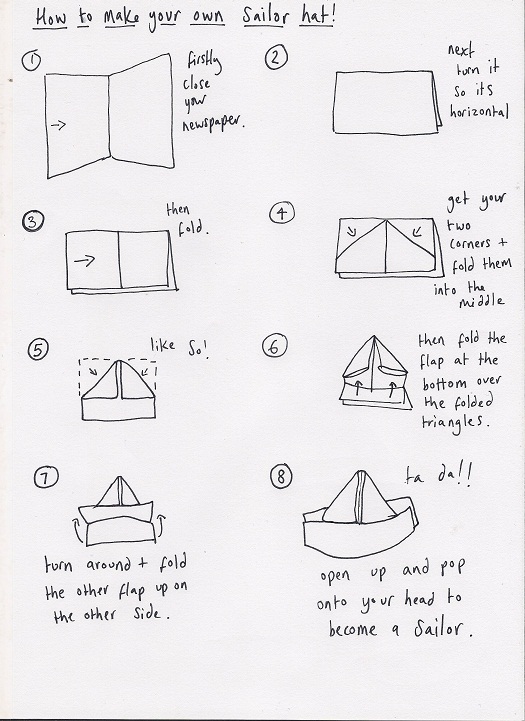 Isn’t there a single idea ? 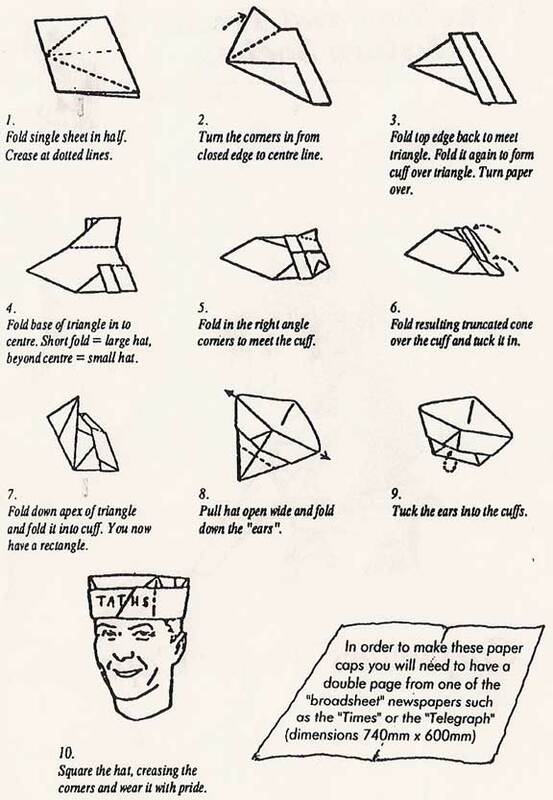 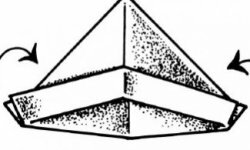 about how to make a sailor hat ? 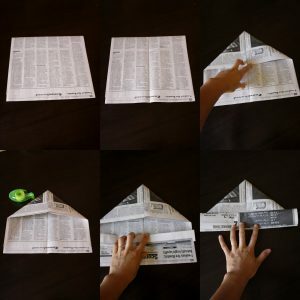 out of paper ?? 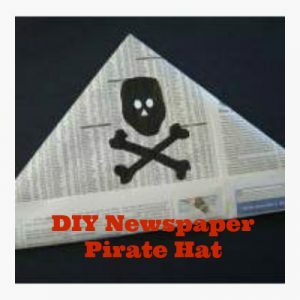 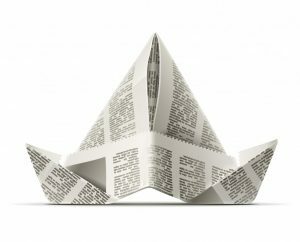 Please go through the links “Newspaper Sailors Hats for Babies” and “How to Make a Paper Sailor’s Hat”. 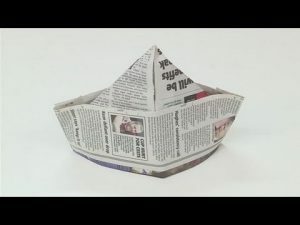 They will give you an idea of how to make a sailor hat with newspaper.